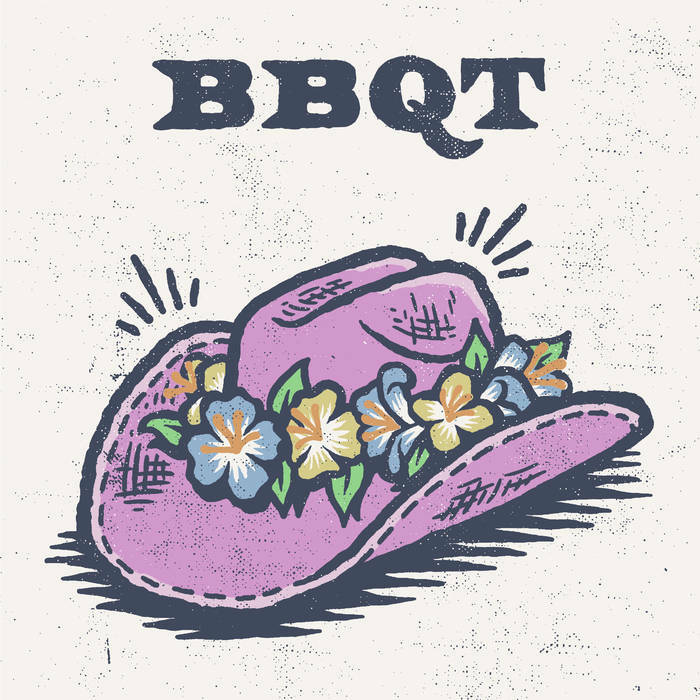 BBQT’s debut EP reads like a recounting of a dalliance fuelled in part by charcoal smoke and too much sun. The ruckus-y group of ragged pop-punk tracks this St. John’s, NFLD squad have assembled begins with a sip of something fizzy, ends with a hangover, and the moments in between are filled with energy, friends, and heart-eyes. The song goes by in a flash so the question is left unanswered but in the following, and standout track, “Handsome Daredevil Bad Boy Kinda Guy” we get to know a little more about this cutie and what comes after their meet-cute. It’s a song that has a surf-rock vibe, bright despite its outward grunge. The “Handsome Daredevil Bad Boy Kinda Guy” in question drinks black coffee and smokes but there’s a boyish charm at play regardless of his label as it’s revealed that he picks up Sandford, or the heart-eyes giver she is channeling, for their date in his “mom’s SUV”. Post-date night, we are greeted with a hangover and someone in our bed. The boppy power-chords of “Hangover Song” mirror the thumps from the headache that usually accompanies a hangover but thanks to the plucky instrumentation, that all of BBQT cruises along to, there’s no bad taste left in your mouth. Laura is a writer who likes to drink tea and wear toques. She often lies on the floor and cries while listening to Joni Mitchell.